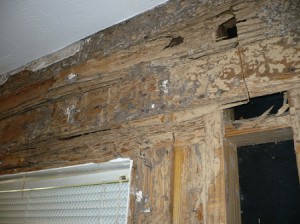 It would be nice if termites rang the doorbell so homeowners would know when they have arrived. But no, these unwanted guests often come for dinner in the dead of night and stay for years undetected. Talk about overstaying their welcome! It’s hard to control termites if you haven’t found them – wishing them away doesn’t do it! 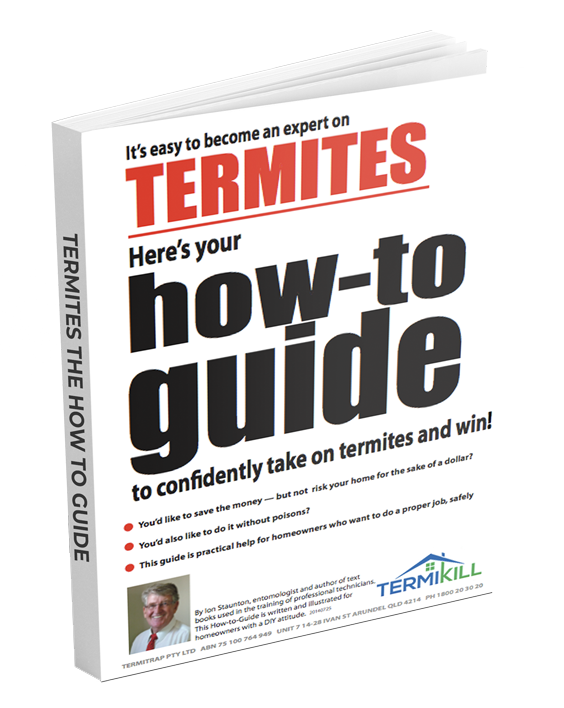 The task of ushering termites out of your house for good is certainly possible and not that difficult. It’s a two-step process. Regular home and garden inspections is a critical element of termite control. Look for mud tunnels that termites create to travel above ground and to seal cracks and gaps in wood. Look for wood with a distorted or uneven appearance indicating termites may be munching just under the surface. Check the foundations and under flooring for mud tubes. Examine framing, moulding, and built-in cupboards inside your home for tunnels, distorted surfaces or tell-tale mud in the joins. Look closely where cables or pipes go through the outside walls and check any additions such as pergolas, pump houses, gates and fences are attached to the house. 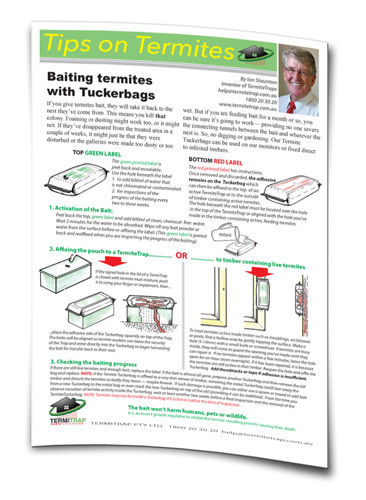 Do-it-yourselfers can buy termite monitors and household safe bait to control termites that have arrived uninvited. 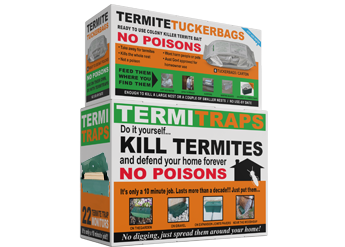 Setting a bank of multiple termitetraps around your home gives you the very best chance of intercepting termites while they are still looking for the way in. It’s so much better to feed them in a trap than for them to feed on your home. Monitors and regular inspections — way to go!! !